One late evening,when I returned from clinic,I found my hubby had got a kilo of baby potatoes. 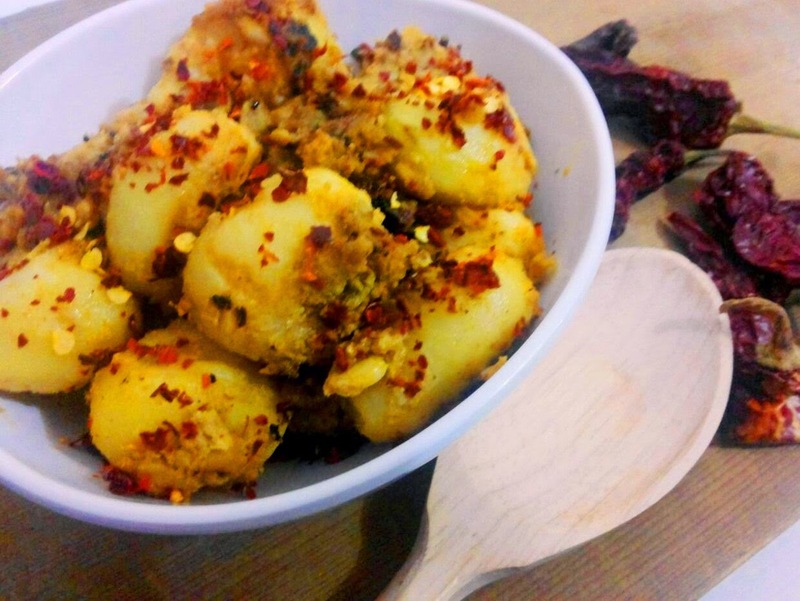 His wish was to cook his all time favourite Dum aloo.But I had something else in my mind.A foodie had asked for this recipe.And I had promised her too.Here was my chance to please my hubby and make my foodie friend happy too.So here I present an easy and fast method of making tandoori aloo. Wash,half boil and peel baby potatoes. Pierce them with a fork and keep aside. Take a bowl .Add all marinade ingredients in it and mix well. Add potatoes in the bowl and coat well. Let the potatoes marinade for an hour in fridge. Heat oil in a non stick pan and start adding potatoes to it.Close the lid and let it cook for 10 to 15 minutes till dry. 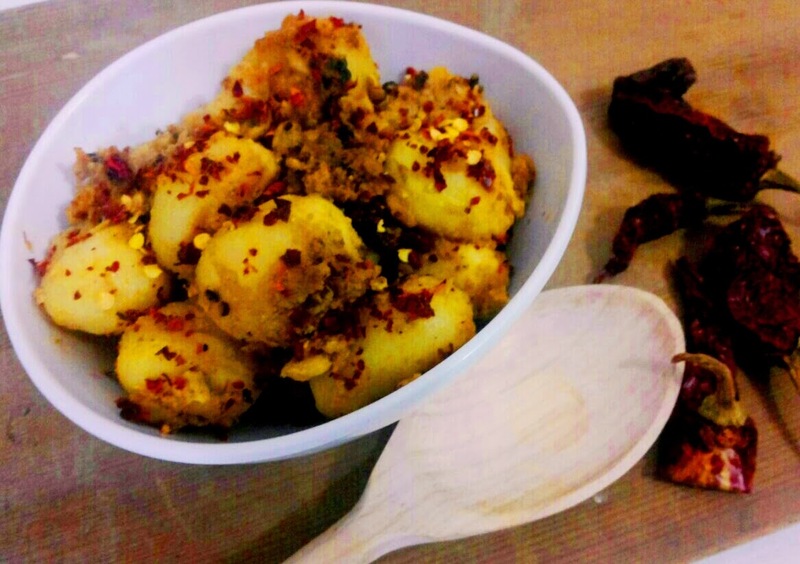 Take off the heat and garnish with kashmiri red chilli flakes and chaat masala.